This is formulation is especially for handicap line striping. It features quick and easy application to concrete, blacktop, soil, grass, gravel and most other surfaces. It has good hide with one application. 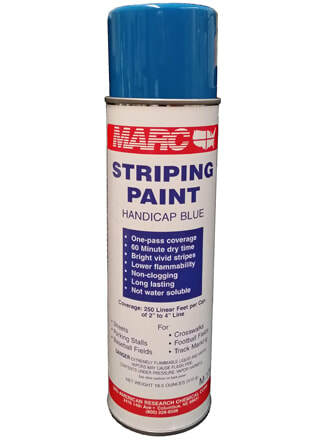 Because of its universal spray head, MARC Striping Paint is compatible with almost all four-wheeled striping machines. Use with the MARC Stripe Marking Machine.